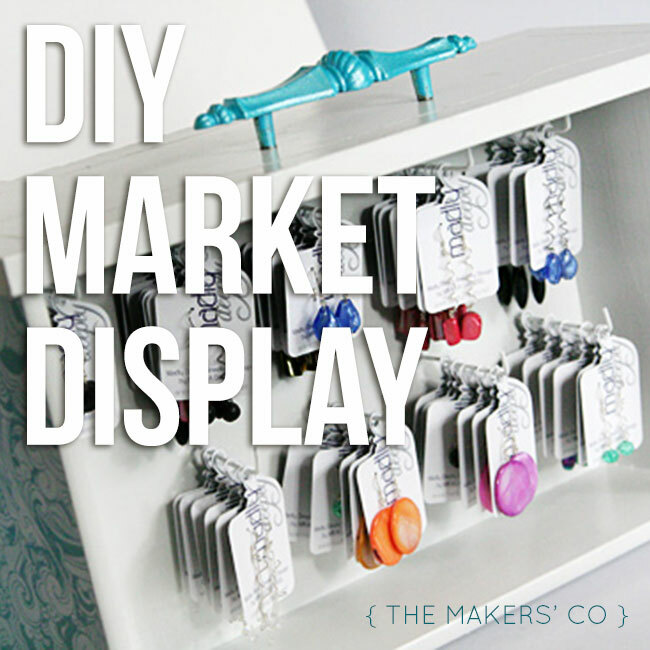 Several years ago I completed this DIY market display project, and it was so fun and easy, anyone could do it! I picked up an ugly old laminated bedside chest of drawers from The Green Shed for $10 (formally Aussie Junk) in Mitchell, and went to work on the top drawer, converting it into a jewellery stand suitable for a market stall for your creative business. 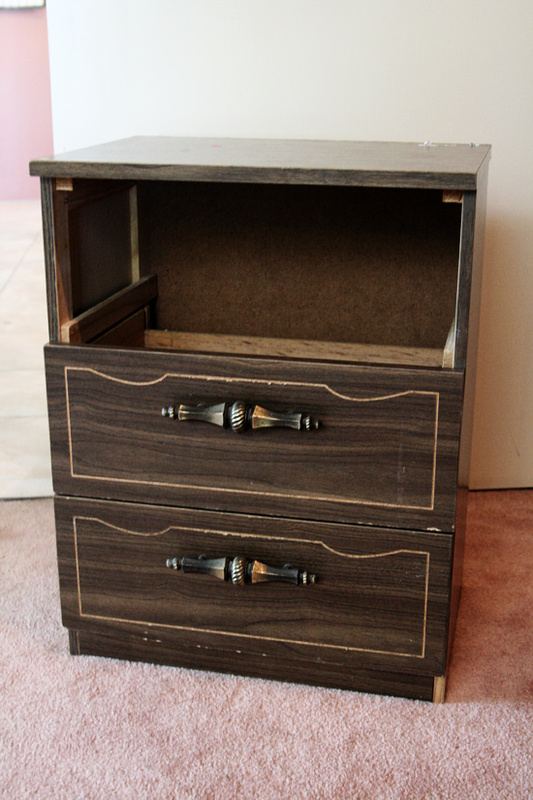 First I removed the handle, then painted the whole drawer white. From memory I used regular white ceiling paint, but spray paint would work like a charm too. 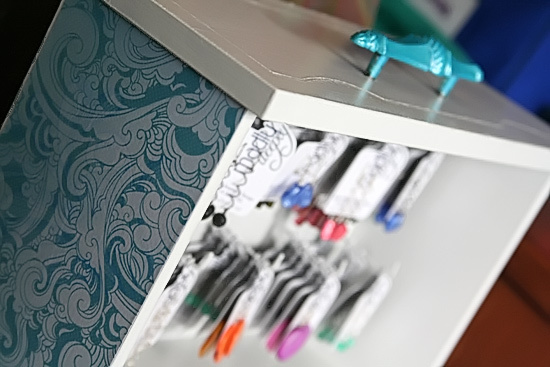 I painted the handle a metallic blue/teal, then used Mod-Podge and Kaisercraft patterned paper to cover the sides of the drawer for a bit of contrast to the white. You could use this as an opportunity to “theme” your display to suit your branding or market stall style. 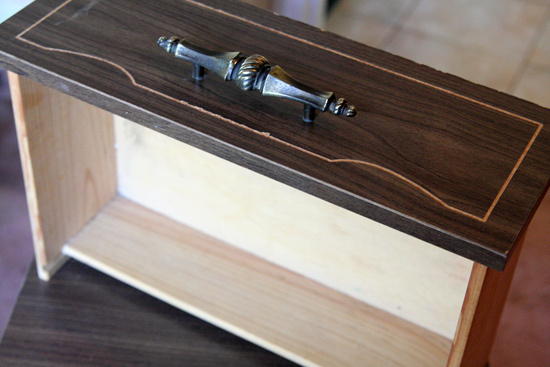 I then used wire cutters to snip an old wire coat hanger into lengths about 10cm long, which I bent up at the ends, and then hot-glued into small holes (made with a nail and hammer) at the back (the base) of the drawer. I painted these white also. 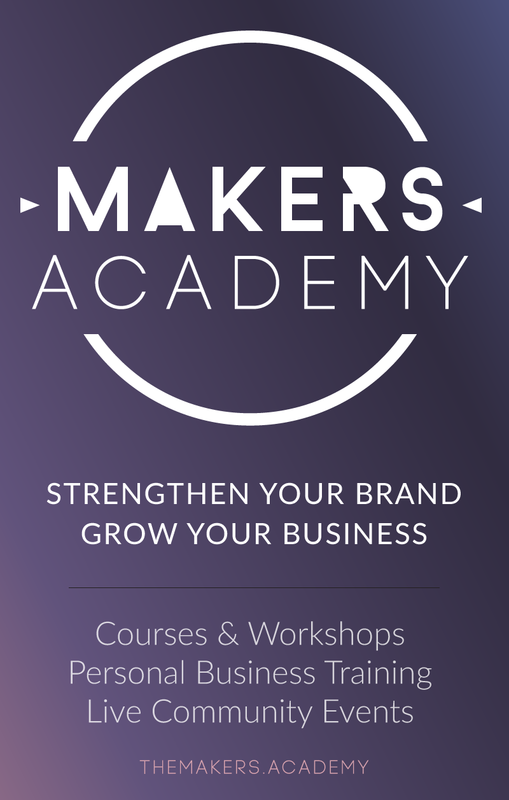 You might also be interested in: How I made $607 in my first online market, and how you can too! 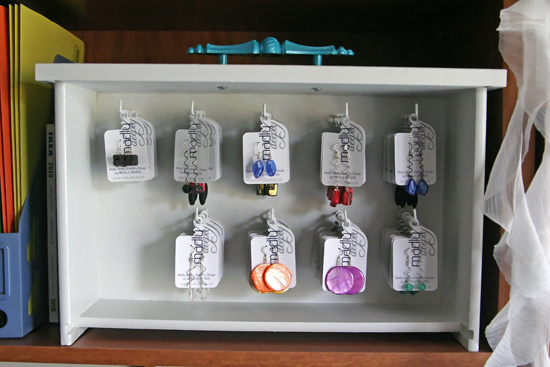 The coat hanger wire was the perfect gauge to hold several earring tags at once quite steadily, without being too difficult to bend. Finally I covered the whole thing in Mod-Podge to give it a nice glossy sheen. And that’s it! 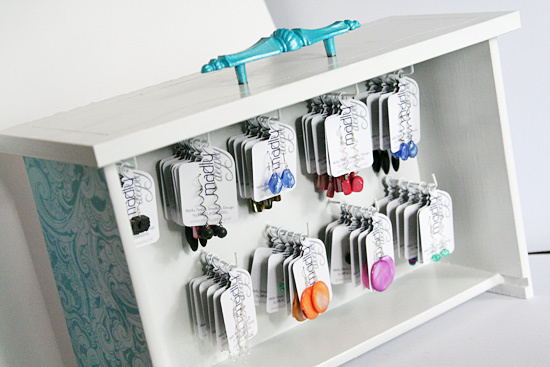 The drawer is easy to carry by the handle, so you could hang all your earring tags the day before and not have to worry about setting it all up on the morning of the market, which I always found really time consuming and a bit stressful when doing a market stall. The more prepared you are before actually arriving, the better!